The Little Bully Gets His Way — This little Broad-Tailed Hummingbird came for his usual bath at our garden fountain, only to find another bird there leisurely bathing. Hummingbirds are very territorial, so the little guy just wouldn’t have it. He hovered around the fountain for a few minutes making threatening moves, until the other bird, clearly intimidated, decided to leave. I took these photos from a window so the quality is not great, but this was such an interesting event, I decided to share them anyway. This week’s theme is Reward. Several reward images came to mind when I first read the challenge. Here they are. 2. 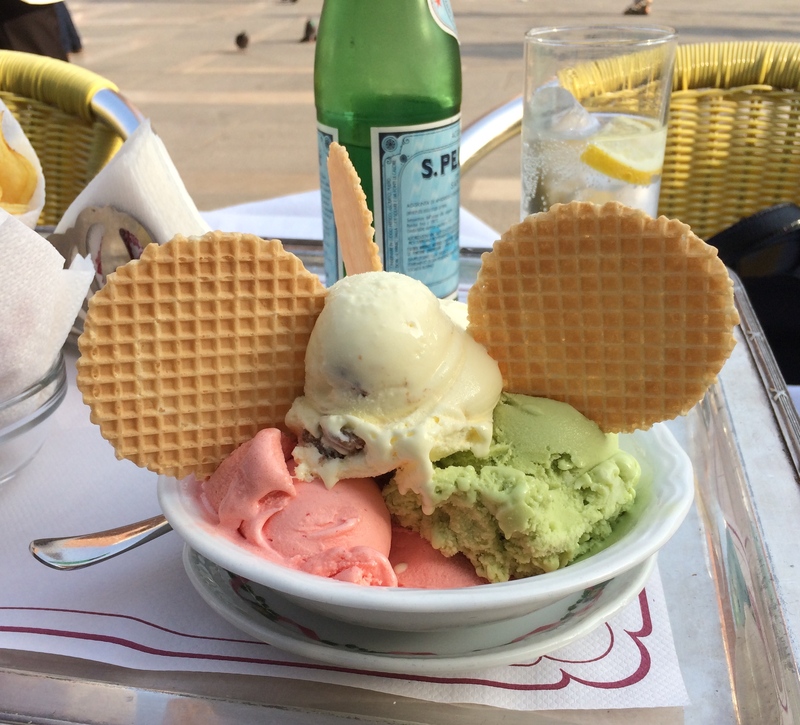 Getting some “gelato” after hours of sightseeing anywhere in Italy. 3. 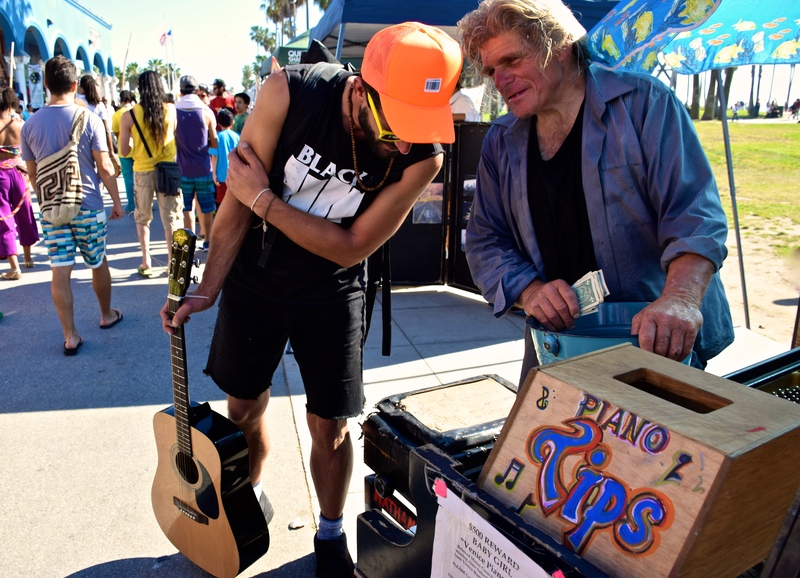 Getting lots of tips after playing the piano on the street all day. Venice Beach boardwalk, Los Angeles, CA. 4. 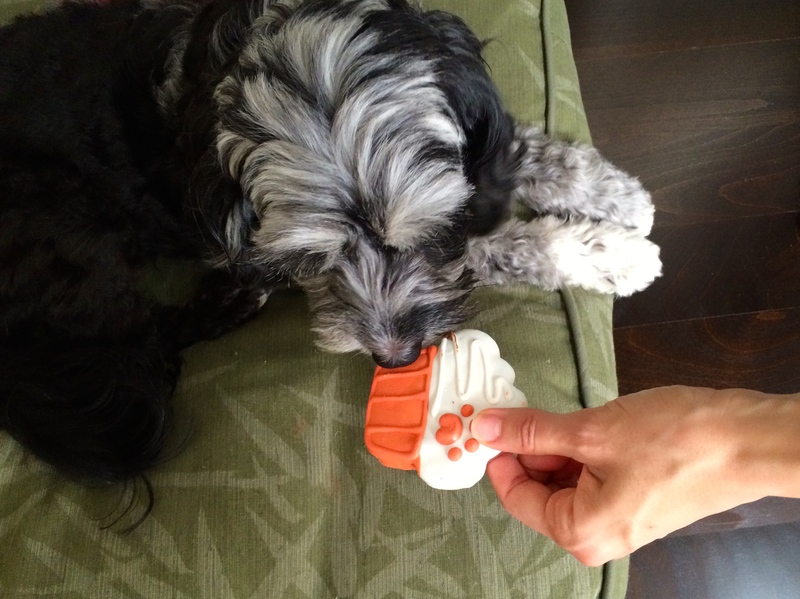 Getting a yummy treat for being a good dog! 5. 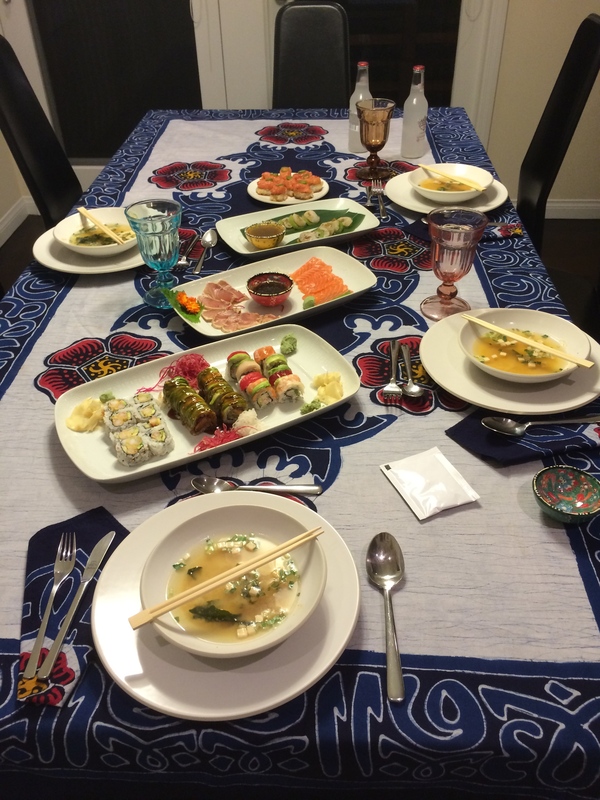 Ordering a great sushi meal on a Sunday evening, when you don’t feel like cooking or going out to eat. 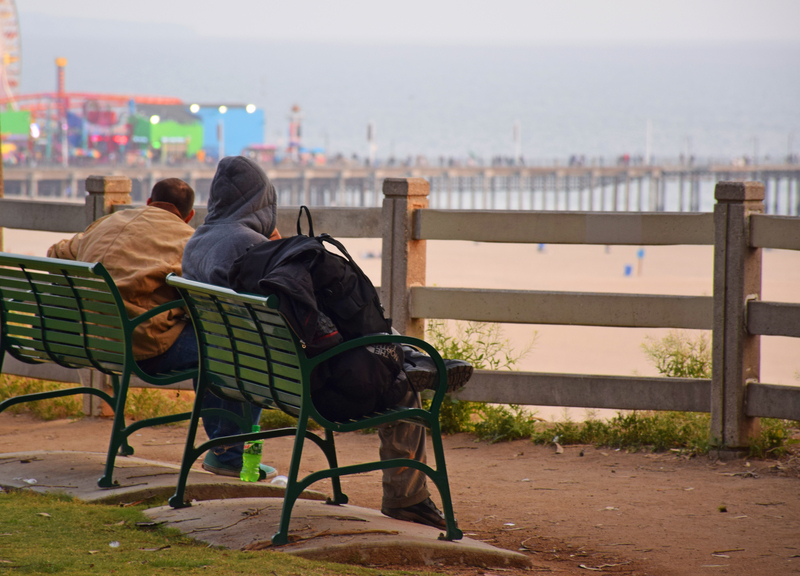 Homeless With A View — Santa Monica is considered a safe haven for the LA area homeless. 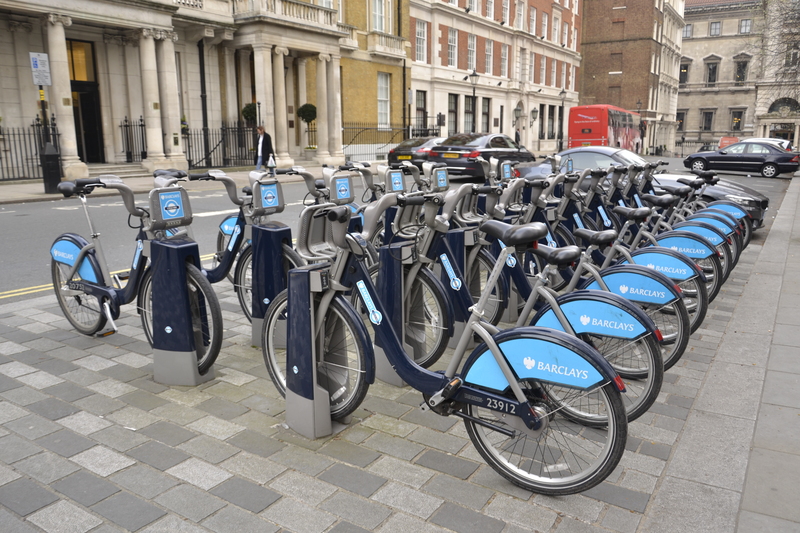 Members of the community keep an eye on them, regularly count them to make sure they’re all OK, and, most importantly, gladly share the city’s public spaces with them. Such is the case of Palisades Park, my favorite place to go for a walk and watch the sunset. 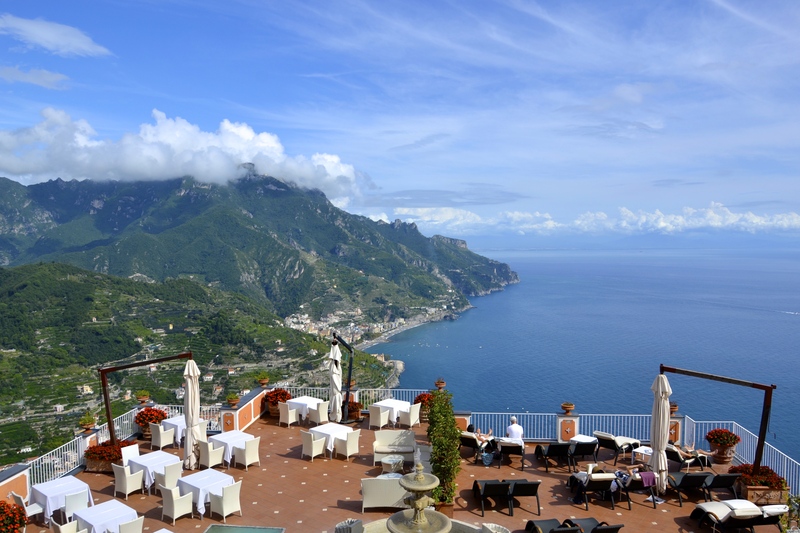 There, homeless, residents, and tourists equally take advantage of the grounds and the beautiful views of the Pacific ocean. That’s what I hope today’s photo illustrates. 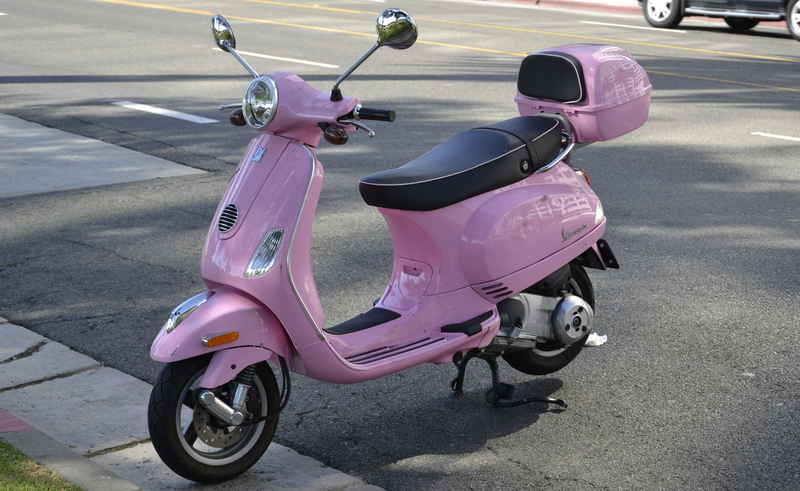 Pink Vespa! Santa Monica, CA. 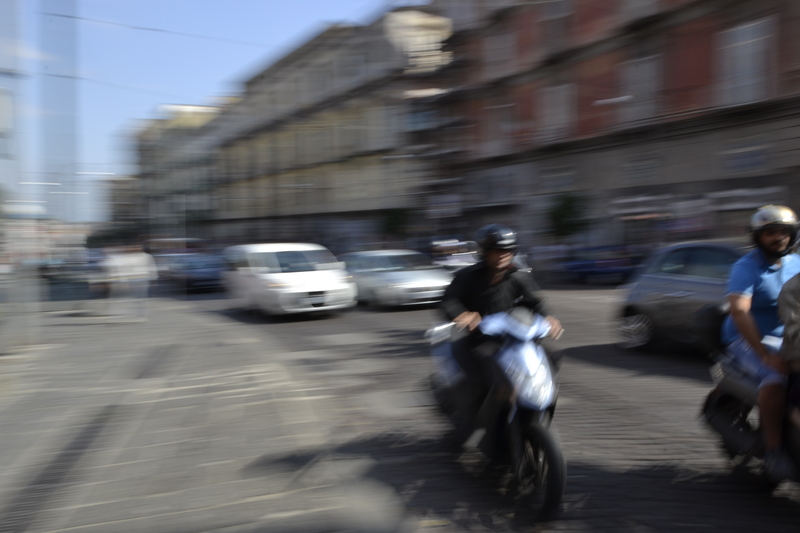 Speeding motorcycles in wild traffic of Naples, Italy. 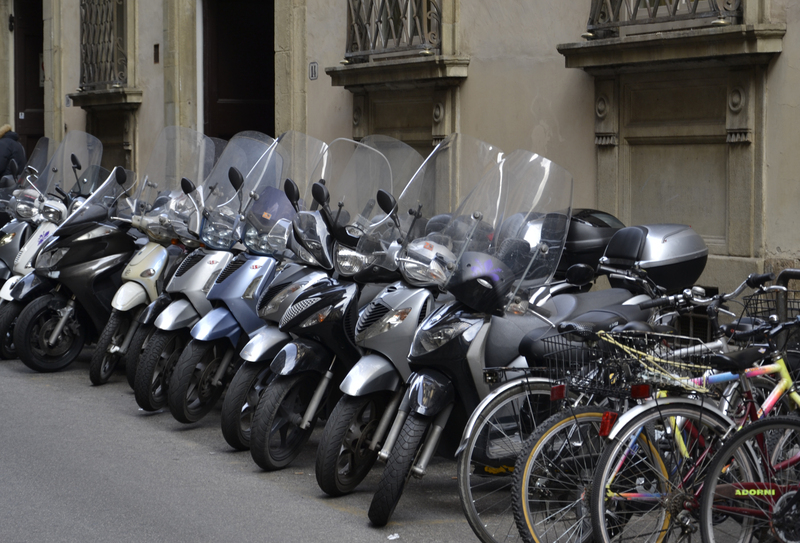 Bike and motorcycle parking. Florence, Italy. Mom’a aware, adorable kid happy with green balloon. 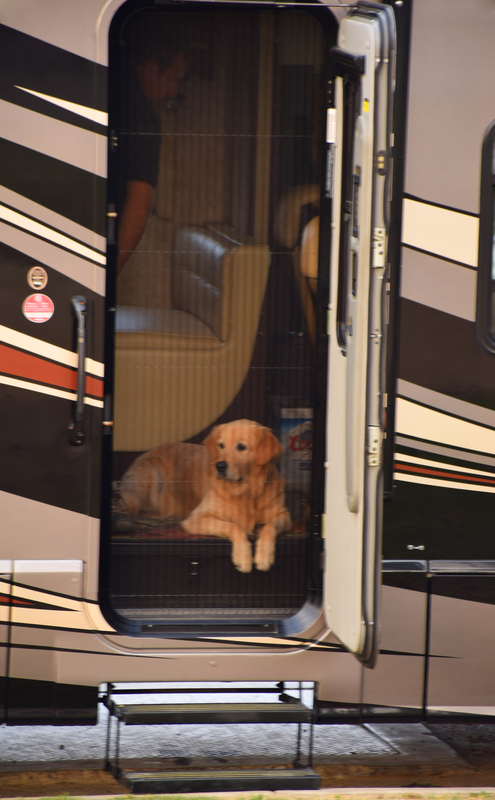 People Watching — This adorable pooch was sitting behind the screen door of a huge RV parked on Ocean Ave. in Santa Monica, quietly watching as people went by. I had to share this photo.